Tuesday 3rd February to Sunday 8th February 2015. 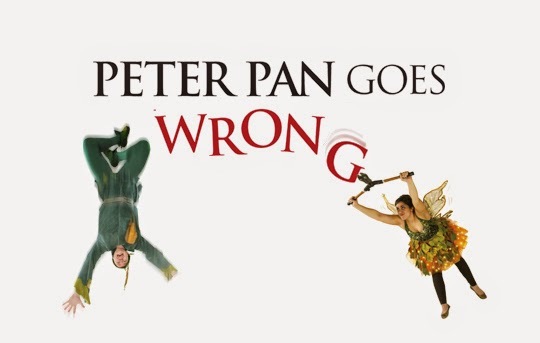 Celebrated West Endnewcomers and winners of the Whatsonstage Award for Best New Comedy 2014, Mischief Theatre are set to wreak havoc once again at Darlington Civic Theatre with their new show Peter Pan Goes Wrong. Co-written by Mischief Theatre company members Henry Lewis, Jonathan Sayer and Henry Shields, the play introduces ‘The Cornley Polytechnic Drama Society’ who are attempting to stage J.M. Barrie’s classic tale of Peter Pan, but as the title suggests, everything that can go wrong… does, as the accident prone thesps embark on a thrilling adventure to Neverland with hilariously disastrous results. A highly physical comedy packed with finely-tuned mayhem and Buster Keaton inspired slapstick, Peter Pan Goes Wrong delivers a fast-paced show with split-second timing and ambitious daring. Mischief Theatre exploded onto the Darlington Civic Theatre stage with phenomenal success last year with The Play That Goes Wrong. Kenny Wax - triple Olivier award-winning producer of the play said: “We took a huge gamble in transferring The Play That Goes Wrong into the West End; a new comedy starring 'no one famous' by unknown writers. A donation from every ticket sold for Peter Pan Goes Wrong is given to Great Ormond Street Hospital. Peter Pan Goes Wrong runs at Darlington Civic Theatre from Tuesday February 3 to Sunday February 8. Tickets* are priced from £17.